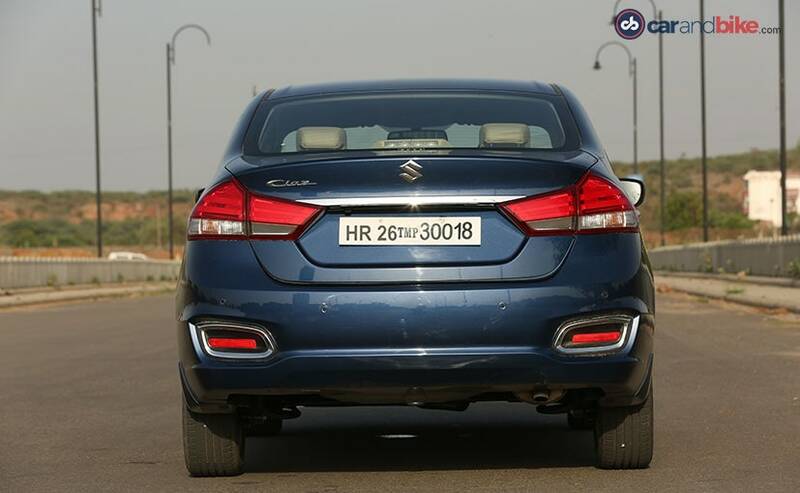 The new DDiS 225 variant on the Maruti Suzuki Ciaz is the brand new diesel that has been developed in-house. The 1.5-litre 4-cylinder diesel engine is BS6 ready and will eventually replace the Fiat sourced 1.3-litre. 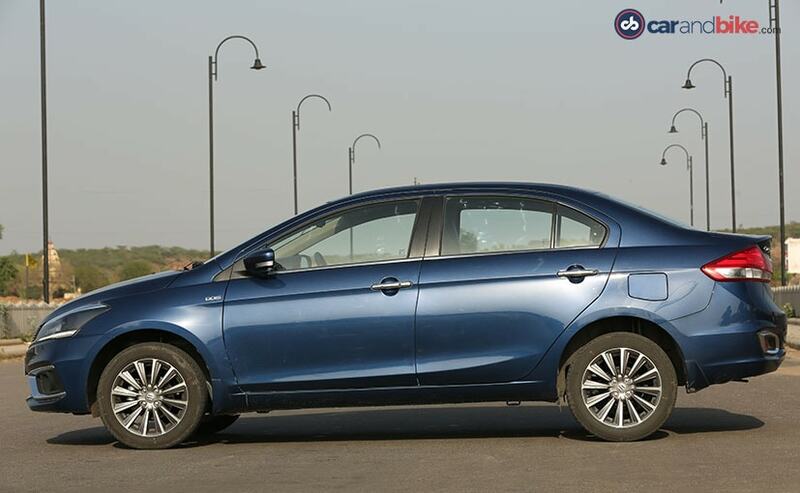 We test the new engine, by taking the updated Ciaz diesel out for a spin. The first two gears are relatively longer and that helps when you get away from stopped traffic. 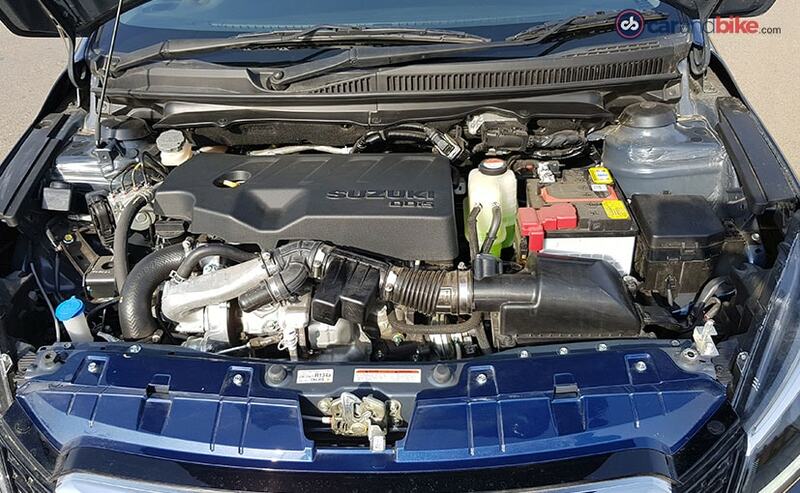 Maruti Suzuki Ciaz is the first model to get the new DDiS 225 engine. It's a 1.5-litre diesel engine which will replace the 1.3-litre Multijet. The DDiS 225 will eventually make its way in all Maruti diesel cars. Maruti Suzuki is one brand that's not quite in the business of bringing us new powertrains very often. So when it does, we know the engine will have a wider future application and won't be restricted to just one model. The motor in the question is Maruti's latest - the new 1.5-litre diesel that is badged DDiS 225 (the number comes from its peak torque, like Maruti's existing diesel engine nomenclature). It makes its debut on-board the Ciaz compact sedan, and will sell alongside the current diesel variants the car offers. Those of course sport the Fiat-sourced 1.3-litre Multijet engine that's badged DDiS 200. So Maruti is trying to get away from its dependence on Fiat for diesel technology which is why this new engine becomes very crucial. The 1.3 Multijet turned out to be quite a game changer for Maruti (and also Tata Motors) and its peppy performance and good efficiency are what made it click. Maruti Suzuki used it across its diesel line-up in India and the new engine (likely a family and not just the 1.5-litre) will eventually replace it in all of them. The new DDIS 225 is only being offered with the Delta, Zeta and Alpha variants, while the DDiS 200 has an additional Sigma base variant. The new DDiS 225 is BS6 ready, though for now is launched as a BS4 compliant engine. The new DDiS 225 is BS6 ready, though for now is launched as a BS4 compliant engine. It will need minor upgrades to switchover in April next year - when the DDIS 200 will also likely be phased out. The Ciaz also got a brand new 1.5 litre petrol engine when its much-delayed and much awaited facelift happened in August last year. The 4-Cylinder DDiS 225 unit develops 225 Nm of peak torque from as low as 1500 rpm (and all the way up to 2500 rpm). The maximum output is 94 bhp at 4000 rpm and that number's not a major increase over the 1.3-litre unit that churns out 88 bhp and 200 Nm of peak torque. That said, where this motor does shine is in the way it behaves. The Ciaz remains the most economical diesel compact sedan in India with claimed mileage of 26.8 kmpl. 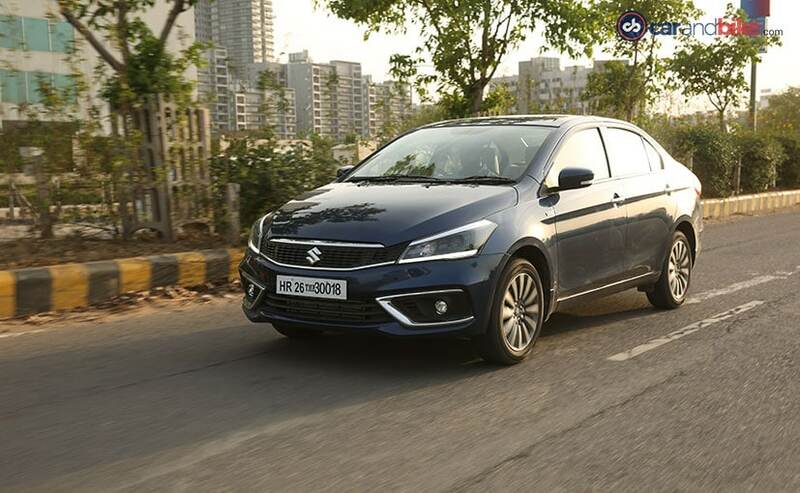 To put things into perspective, people like the old engine in the Swift or Dzire or any other small car for that matter because they are relatively lighter and the low-end spurt is welcoming and doesn't jolt the passengers much. Also, the mid-range that engine offers works in the hatchbacks. In the Ciaz though, the head nod was quite evident. The new engine translates power onto the road rather smoothly and to the extent that the torque-steer which was a bit annoying in the previous engine, is now even. The power delivery feels a little bit different, though to be honest the difference is not so perceptible because of course in terms of the actual horse power change is only 5. But it's in city traffic, it's in the quick gear changes and then the immediate burst that you get - that is where you do sense the change because the torque kicks-in at lower revs. Now the Ciaz has always been an easy car to drive in the city and a relaxed highway cruiser. The new engine builds on those strengths, more so with the brand new six-speed manual gearbox it is mated to. Maruti Suzuki has worked on the gear ratios which helps it pull better and the need to downshift is also less frequent. The first two gears are relatively longer and that really helps when you get away from stopped traffic. The third and fourth gear are progressive and once you pass the 2300 rev mark it shoves all the way to 4000 rpm making for a strong mid-range and a slightly improved top-end which is reassuring. 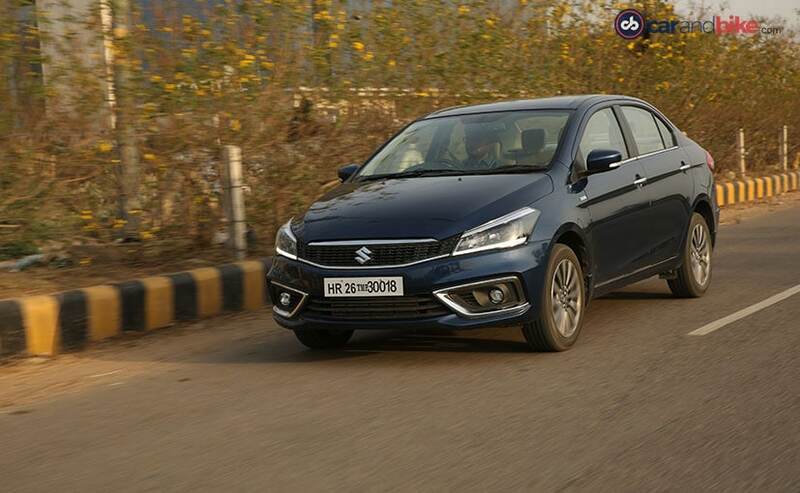 Earlier the Ciaz diesel used to feel a little strained in the fifth gear when pushed hard, thankfully that has been taken care with the sixth-gear. It is by no means as sporty as the Hyundai Verna, but will feel more energetic than the 1.3 Ciaz for sure. Refinement or the lack of it, where the engine falters. You feel the vibration coming up in the pedals and through the steering wheel. But then to match the refinement of the Fiat Multijet was never going to be easy. Even the diesel clatter is louder when the car is idling and it becomes vocal as you pick up the pace. But with the windows up, things get better, since the cabin of the Ciaz is well insulated. All in all, the new engine goes well with the attributes of the Ciaz and we expect the few flaws to be ironed out as Maruti keeps honing this engine going ahead. 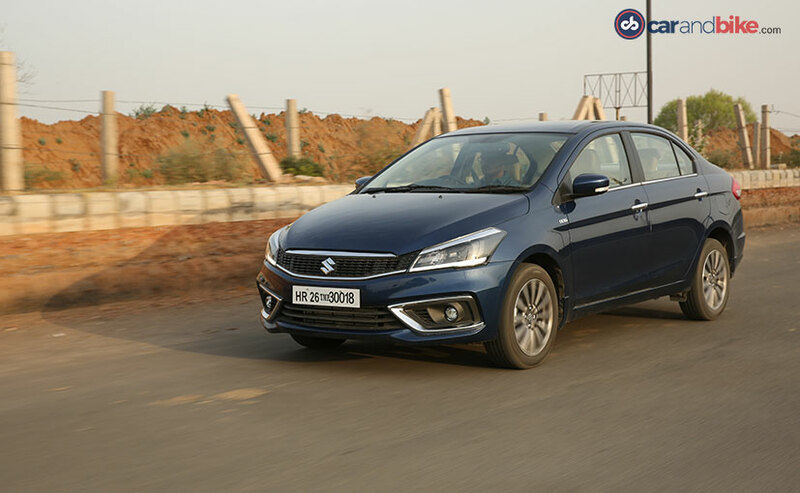 It remains the most economical diesel compact sedan in India with claimed mileage of 26.8 kmpl,. The 1.3 has an even higher number at 28.09 kmpl incidentally. It is by no means as sporty as the Hyundai Verna, but will feel more energetic than the 1.3 Ciaz. Maruti says it has not touched the rear torsion beam suspension and have made minimal changes to the McPherson struts up front in a bid to complement the new engine's weight. The car feels pretty similar in ride and handling terms anyway, and so that is not really something worth spending time on. 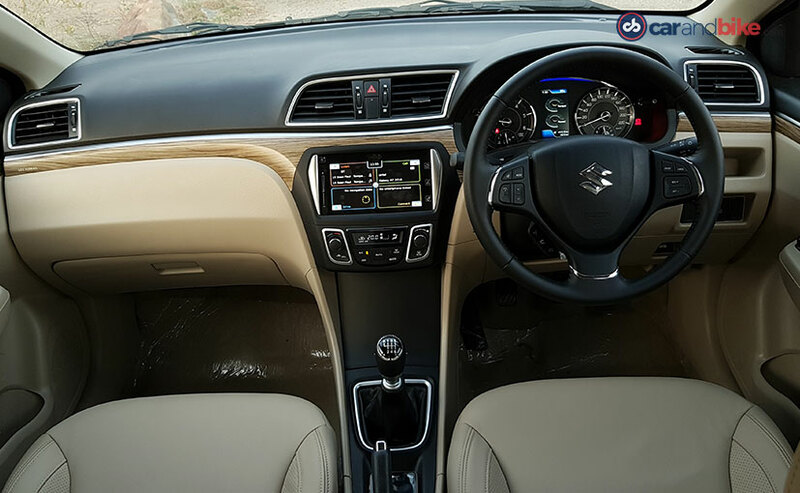 The Ciaz does not get the SmartPlay Studio interface and new touchscreen though we expect it to be part of the feature list soon. The car's cabin and exterior were spruced up with that facelift we mentioned anyway, and so there's nothing new that's been further done. At some point Maruti will likely offer the SmartPlay Studio interface and new touchscreen that the WagonR and Baleno have so far received, but otherwise the car's understated looks and overall appeal remain unchanged. So on the whole new variant is a welcome addition, and moves the brand in the right direction. Better driveability for the larger cars will be crucial, especially as the compact SUVs like the S-Cross and also the Corolla based larger sedan also start to make an appearance in Maruti's showrooms.